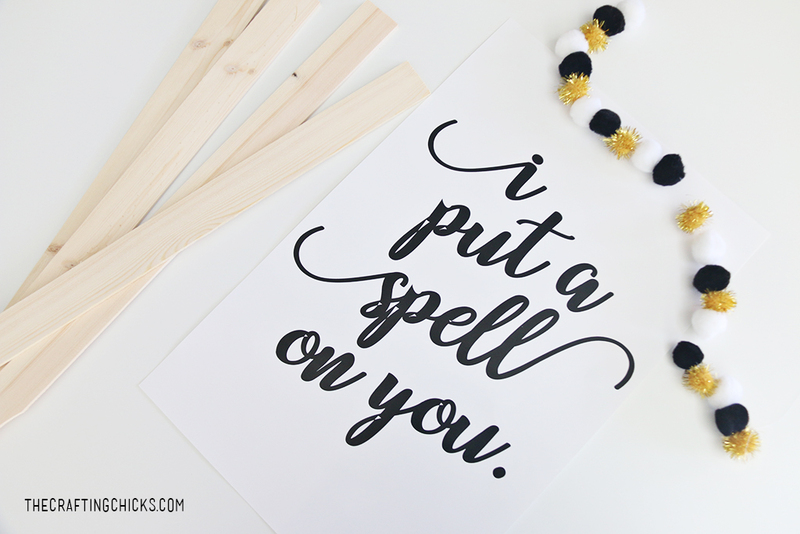 “I Put a Spell on You!” The perfect sign for your halloween guests at any halloween party. Especially a Witch Tea Party. 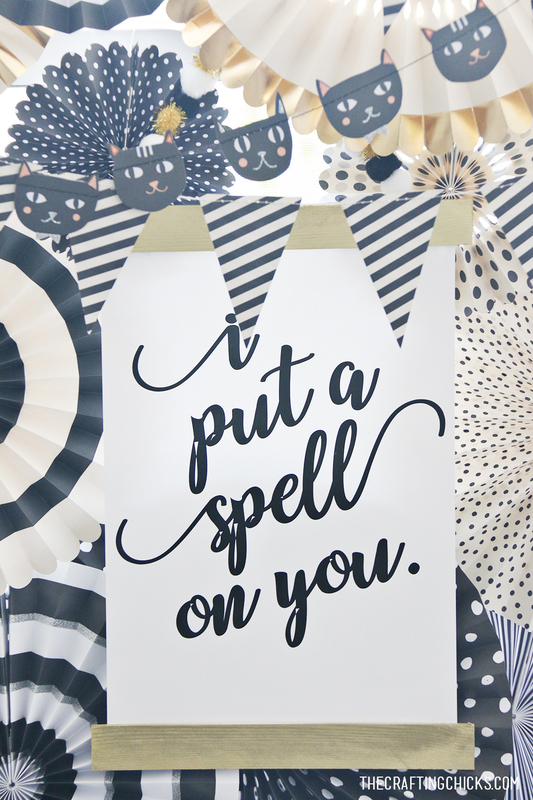 Our designer Nikkala created the cool print that reads “I Put a Spell on You.” We love the fonts she chose for this design project. We got together and created a wood print display for this Halloween Sign. We added wooden magnetic strips to hold the print securely. Can’t wait to share the detail, and easy steps below. Measure and cut all sticks down to 12 inches long. I marked each stick at the 12 inch mark, which made it easier to use a saw and cut each wood stick. Paint the sticks (just on one side) a nice bright gold. Black and Orange would work too. I used gold spray paint for this step. Allow to dry. 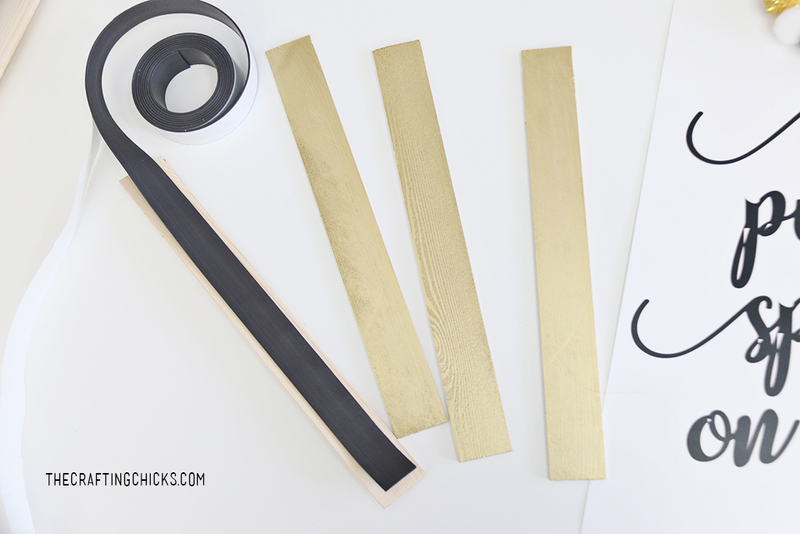 Add sticky magnetic strips to the insides of each wood strip. 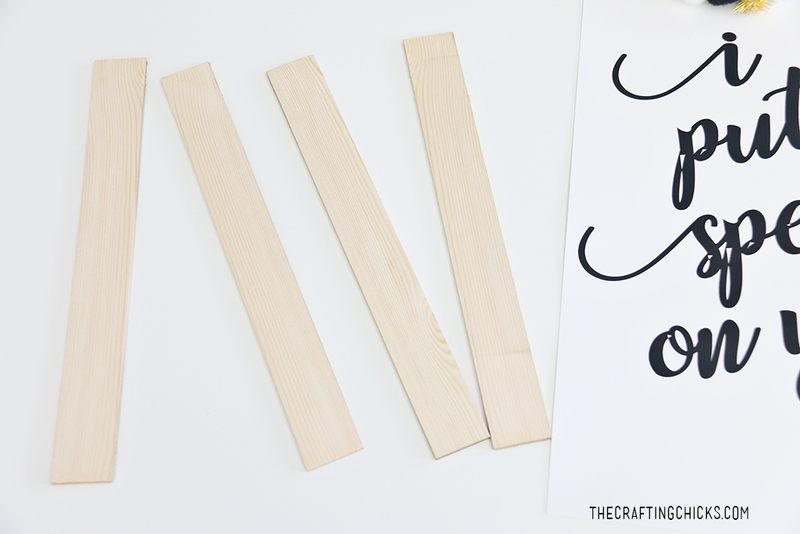 Place two wood pieces together at the top of the print, using the magnetic strips to connect. 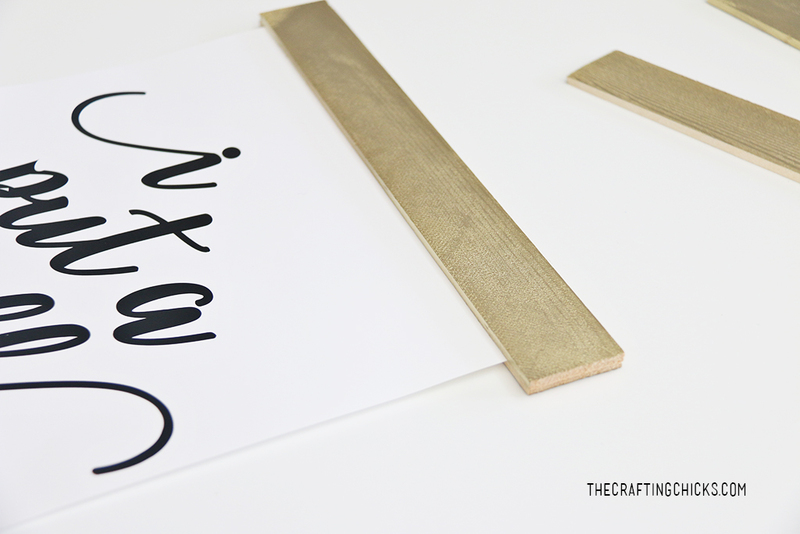 Place two wood pieces together at the bottom of the print, using the magnetic strips to connect. 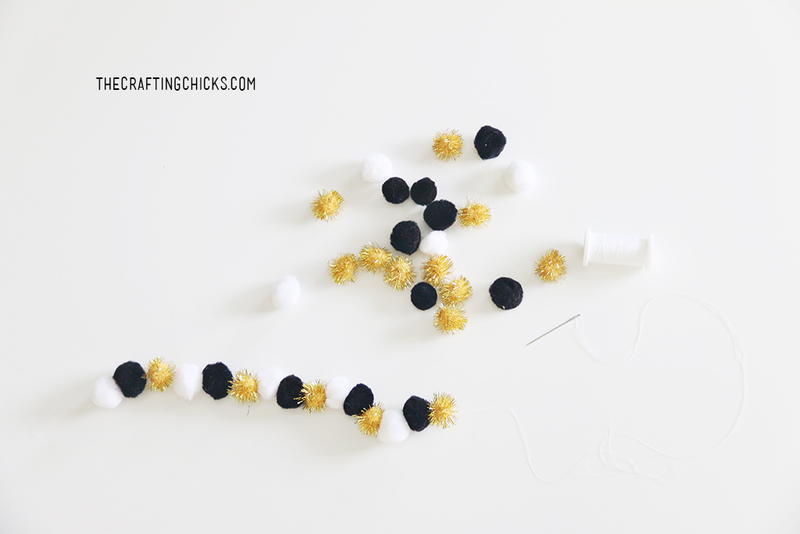 String black, gold, or white pom poms with white heavy duty string. 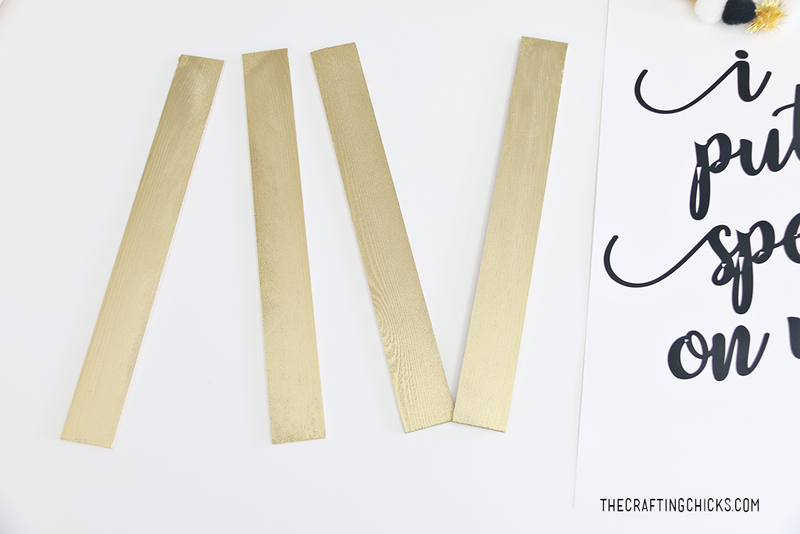 Tie at each end to create a mini pom pom garland. Add the pom pom garland to the top of the sign. 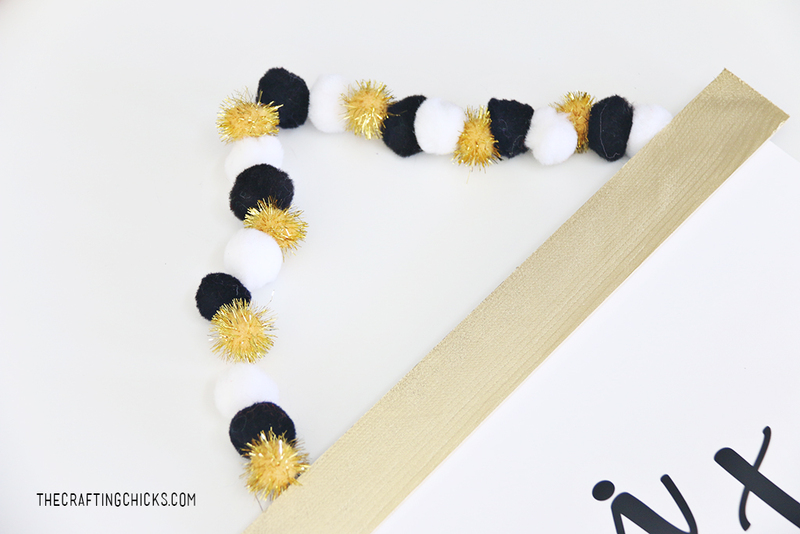 This fancy pom pom garland makes for a great way to display the sign. 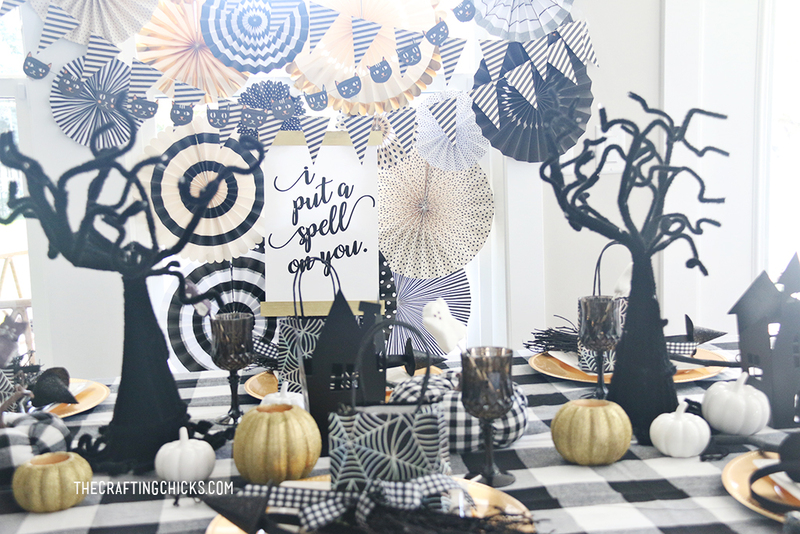 Celebrate your new cute sign with a Halloween Party, or a Witch Tea Party like we did! 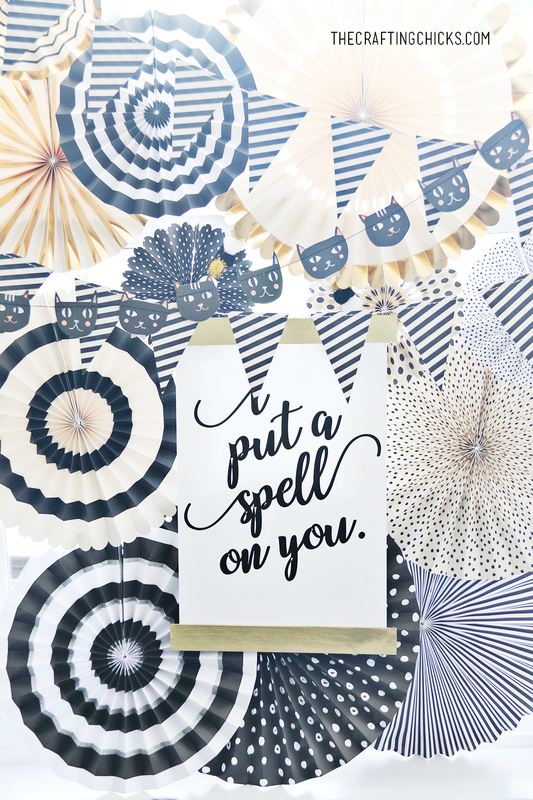 We love the elements of the Witch Tea Party and can’t wait to share soon! 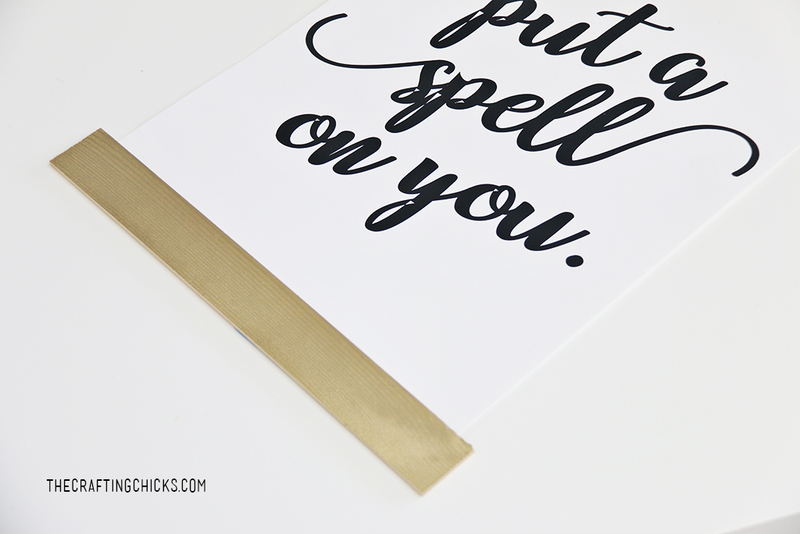 Download “I Put a Spell on you” . Personal Use Only Please. 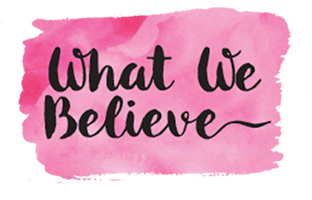 Add images and designs are property of The Crafting Chicks, LLP.